Would you believe there was a time when I would not eat potato soup at all?! I would sit defiantly at the dinner table and refuse to eat it. My parents would threaten me with the famous line of “having it for breakfast” … in which case, I usually responded by reluctantly eating it ….. without chewing – just swallowing and a lot to drink! The thing is, I don’t know what it was about it that made me not like it …… I just didn’t like it. Long gone are those days. 😊 I actually look forward to the cooler weather just for a warm, comforting bowl of soup …. and yes, even potato soup! We usually eat it 2 or 3 times during the cooler months. You know it’s a big deal when I send a picture of my potato soup to my mom telling her that I ate it! 😉 True story!! I rely on my food processor a lot … It makes chopping veggies so quick and easy! I recently had the opportunity to try the Hamilton Beach Professional 14 Cup Dicing Food Processor! It dices, slices, shreds, kneads, chops, mixes, and purees to your exact specifications with this one appliance!! The adjustable slicing blade has 14 thickness settings allowing you to slice the thinnest potato slices, and the dicing blade allows you to cut uniform ingredients for salsa, chutneys and more. Yes, this food processor has a DICING BADE!! Seriously, I love it!! 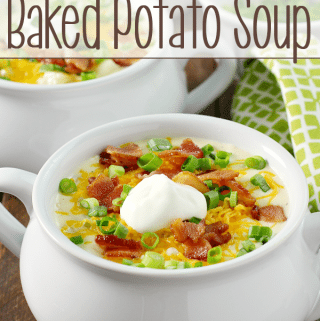 I used the dicing blade to cut the potatoes, onions and celery for this Loaded Baked Potato Soup! It made prep work a breeze! I also love that it comes with a handy storage case to keep accessories organized and accessible! 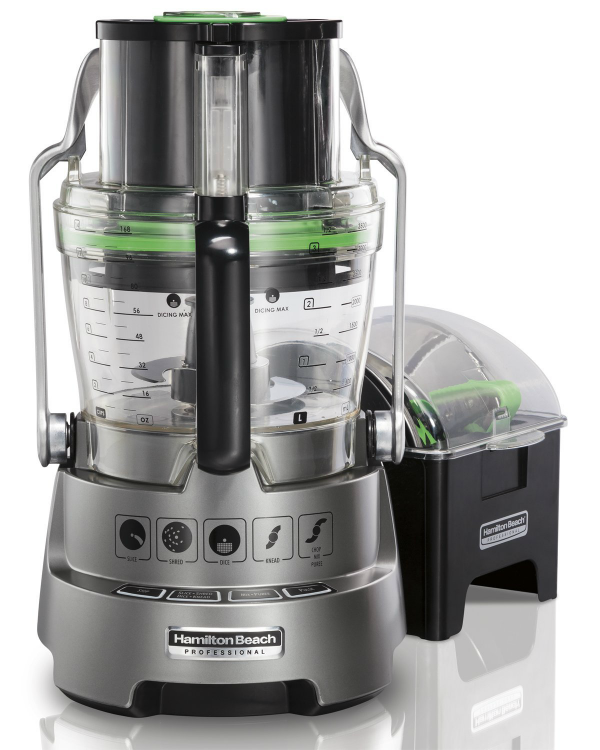 Want a Hamilton Beach Professional 14 Cup Dicing Food Processor of your own?! You can buy it on Amazon.com OR enter for the chance to win one below! Yes!! My friends ate Hamilton Beach are giving one lucky Love Bakes Good Cakes reader their very own Hamilton Beach Professional 14 Cup Dicing Food Processor!! I’m already excited for the winner because this thing is AWESOME! NOTE: You must be 18 years or older and reside in the 50 United States or D.C. Hamilton Beach is unable to ship to P.O. Boxes. 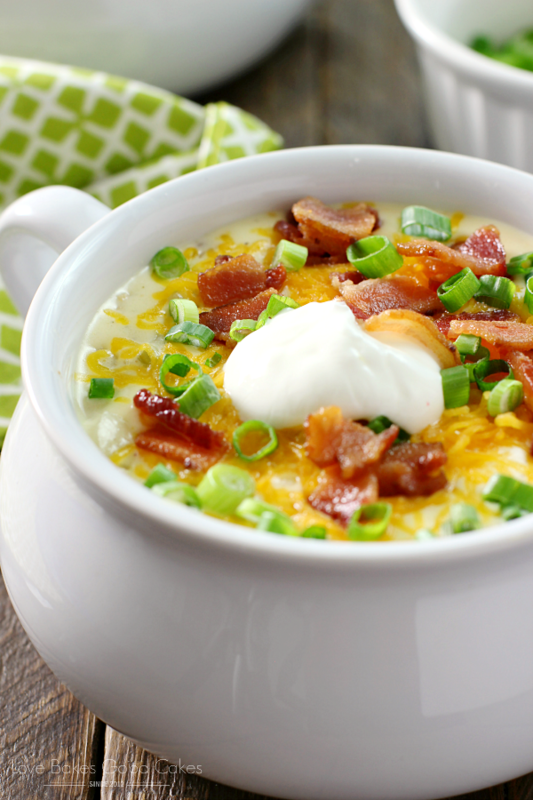 This Loaded Baked Potato Soup is a cinch to put together! It’s comforting and satisfying – and perfect for these colder nights! Fry bacon in a soup pot until crisp. Remove the bacon to paper towels to drain. Set aside. Drain bacon grease, reserving 3-4 tbsp. in the soup pot. Cook the onions and celery over medium-high heat until the onions are translucent. Add the garlic and cook for an additional minute. Stir in the flour. Add the vegetable stock gradually and continue to stir until fully incorporated. Add the potatoes, salt and pepper. Bring the soup to a simmer over medium-high heat and cook 25-30 minutes or until the potatoes are soft. Add the whipping cream and heat through. Add half of the bacon and 2 cups of cheese to the soup. Stir until the cheese melts completely. Serve with remaining bacon, cheese, sour cream and green onions on top. You had me at bacon, of course ! Looks So Good! …and fast too! Thanks for the recipe. I love baked potatoes and the soup sounds interesting! I've always loved potato soups! So creamy and heart warming. Thanks for sharing this recipe on Foodie Friday. Yum! I'm with Linda above on the bacon. I love bacon! Jamie this soup looks soooo good! I can't wait to try it! 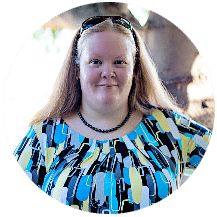 Thanks for sharing at Farm Girl Blog Fest #19! Now this is a seriously hearty soup great for the winter. Thanks for sharing it on foodie friday. I need a nice bowl of this soup for my lunch, it looks so good. Hope you are having a great weekend and thank you so much for sharing with Full Plate Thursday. This looks terrific. Cannot wait to try this recipe. You "rock" the soup pot with this one, Jamie ! Genius!! Thanks for sharing this at Foodtastic Friday!! ok I think this is my favorite post of yours yet! YUMMO Thanks for linking at Show Me Your Plaid Monday's! 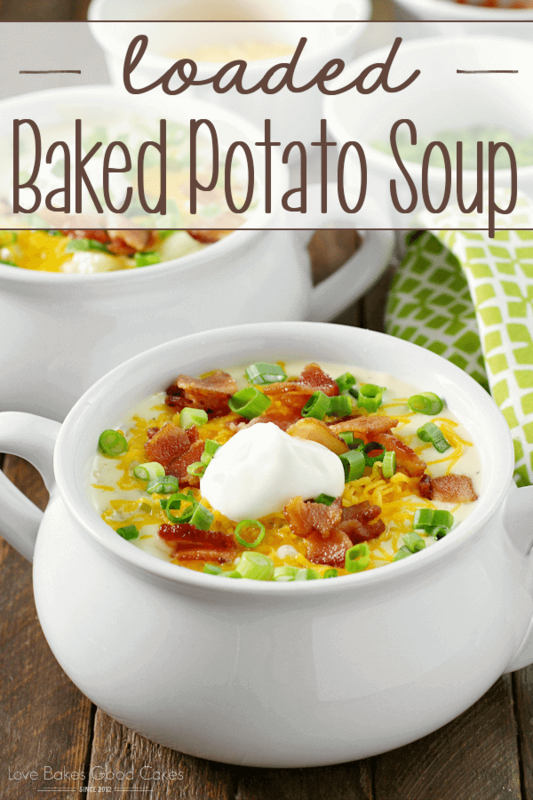 I've never made my own baked potato soup but I bet this one is fantastic! I'll be pinning and trying soon! Thanks for sharing on Foodie Friends Friday! Ohh this looks so delicious!!! I want a big bowl right now!! I must make this this week!! I love potato soup and can't believe you never did! I am glad you changed your ways! Your recipe sounds really good and I will give it a try! Thank you for linking up to the In and Out of the Kitchen party! I look forward to seeing what you bring next week. I can't wait to try this and I'll be linking to it from my blog (weeklyadmeals.com) to give others meal ideas when their menu planning. Thank you! I never liked potato soup as a child either. I eat it now and would be happy to eat this version with all of those fun toppings. Thank you for linking! Loaded is a great word. I love all those additions which are so delicious. yummy! 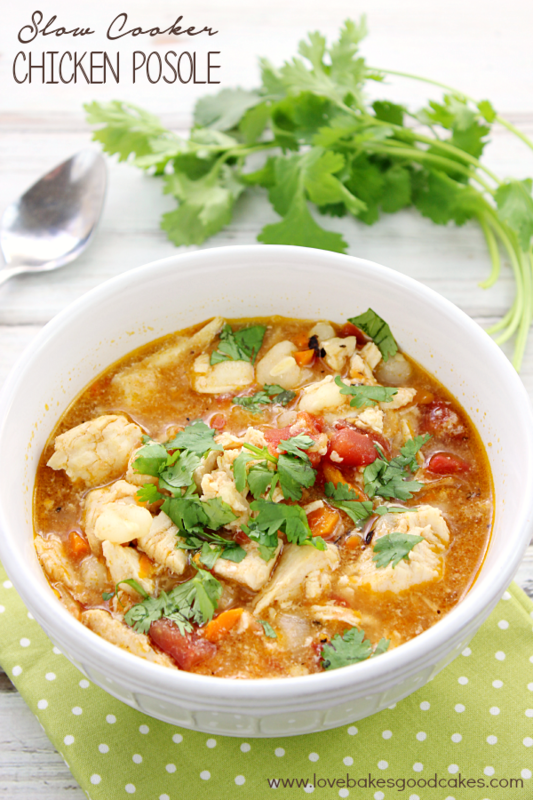 i love soup :o) Thanks for linking up to Tasteful Tuesdays at Nap-Time Creations. Just wanted to let you know that I just opened a shabby apply $50 giveaway and would love for you to get chance to enter! This is a great soup for this cold winter day. Hope you are having a great Valentine weekend and thank you so much for sharing with Full Plate Thursday. Mmmmm! This looks like the ultimate comfort food (which would be great right about now, in the middle of a cold, snowy winter). It's so cold where i live right now, and I'm hungry, this looks SO good! Is flour supposed to be on the ingredients list twice? Nope! Fixed it 🙂 Thank you so much for letting me know! Omgosh first thing I would make is this soup! It looks so delicious. Thank you for the recipe. Going to make it this week. Potato soup is one of my favorites. This is perfect for the weather at my house right now. Cold and snow on the ground. A Hamilton Beach Food Processor would make chopping the ingredients so easy! I make a lot of soups. Having something that makes prep of veggies easier would be wonderful. My vegetable soup would be the first thing I would make with the Hamilton Beach processor. it's cold and windy here today and a bowl of this soup would be amazing! I'm going to give your recipe a try this week. I would make a smoothie or this soup. It looks delicious Jamie! Happy New Year! 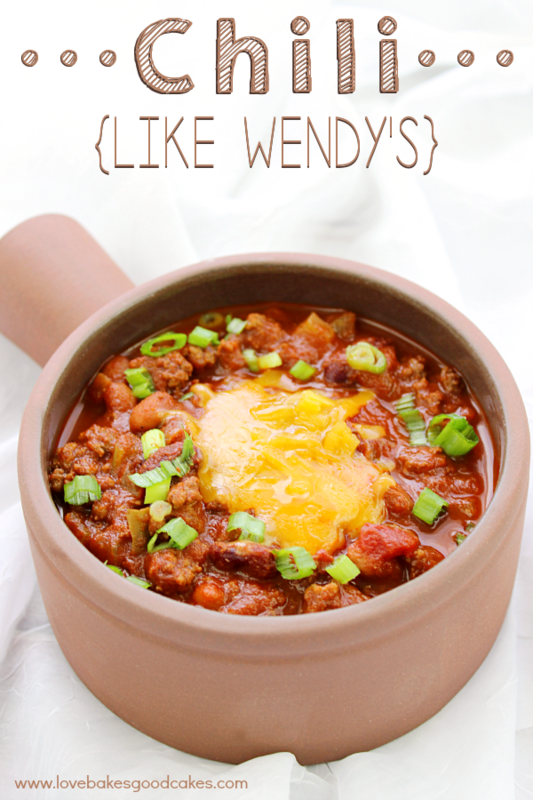 I love how quick this recipe is while still looking like it probably tastes like it simmered all day! Thanks for the recipe! The first thing I would make is some fresh homemade salsa. 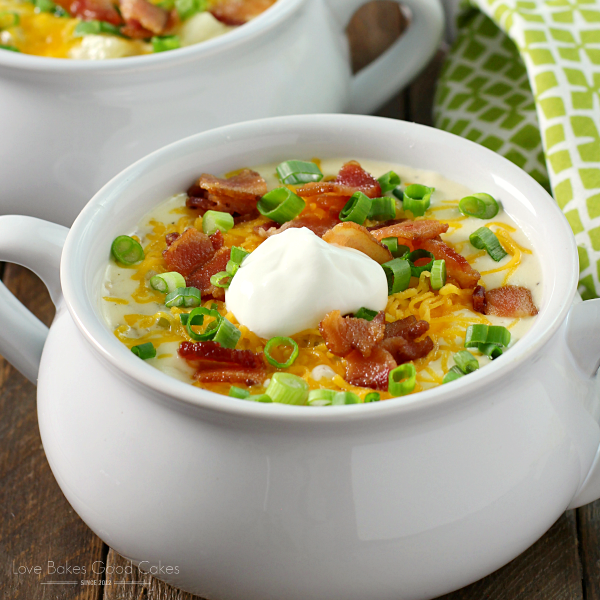 I would make the Loaded Baked Potato Soup!! The food processor would make all that chopping easy! I would make your potato soup and vegetable soup. Thanks for the giveaway. 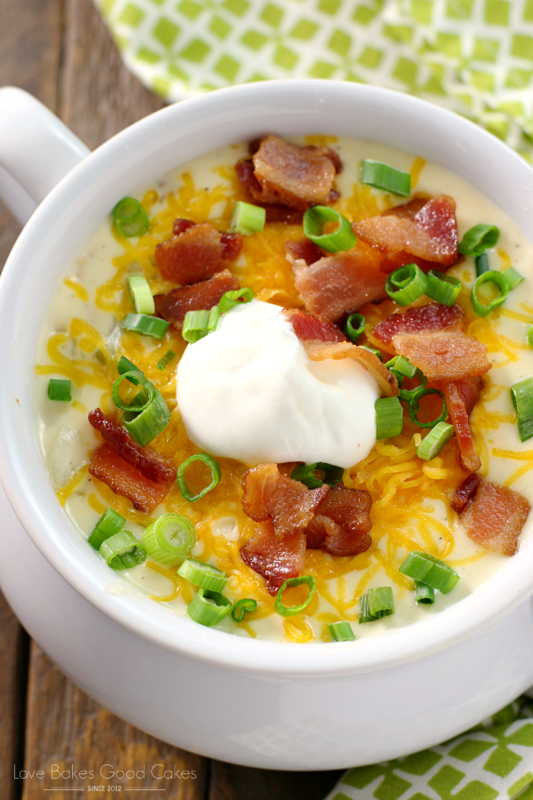 I want to make your delicious Loaded potato soup. It looks so delicious. I would make my Basil Pesto recipe first in this awesome Food processor. I need one really bad because mine just died! A food processor that dices!!! WHat will they think of next? I am unsure what I would make first with the Hamilton Beach® Professional 14 Cup Dicing Food Processor. It would be fun to find recipes that use each of the Hamilton Beach food processor's abilities, so I would have to start small and move up. I would make a chicken vegetable barley soup. I would make myself a yummy vegetable soup first. I know what I'm making when we have cold weather again. Yum! I have always wanted to make my own Hummus so tht would be what I would make first. The first thing that I would make in this food processor is salsa. Probably dice up some onions and peppers for gumbo! I would make a fresh salsa. I think would try some salsa first in the food processor! I have strep right now and haven't eating, but this might be the perfect thing to fix that! Oh my gosh – I LOVE that it dices! This would make cutting onions so much easier! Or potatoes for french fries?! I have to make this! I looks so good!! 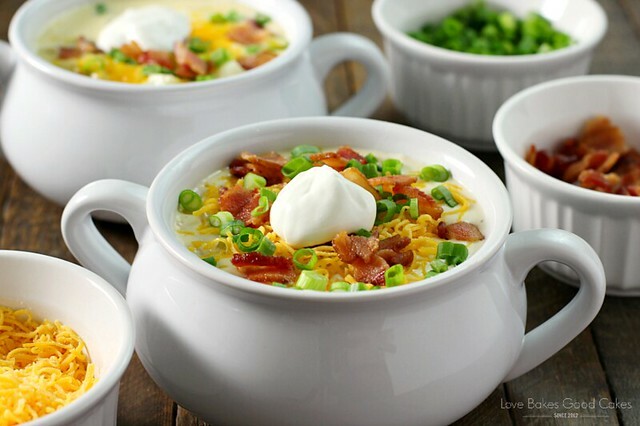 I would first make the Loaded Baked Potato Soup as it looks so delicious!!! 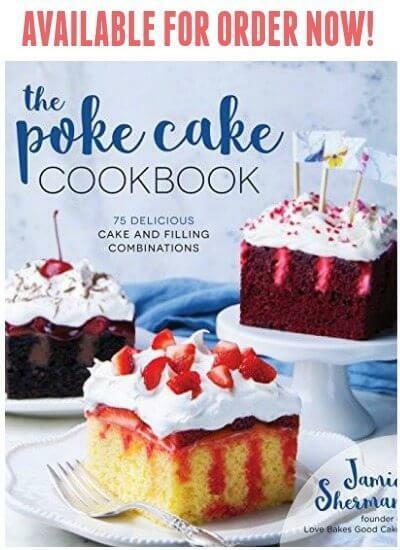 I would use the food processor to make this delish recipe! I would make ham spread with canned ham, celery, red bell pepper, a Tbls. of brown mustard and Tbls. of mayo. 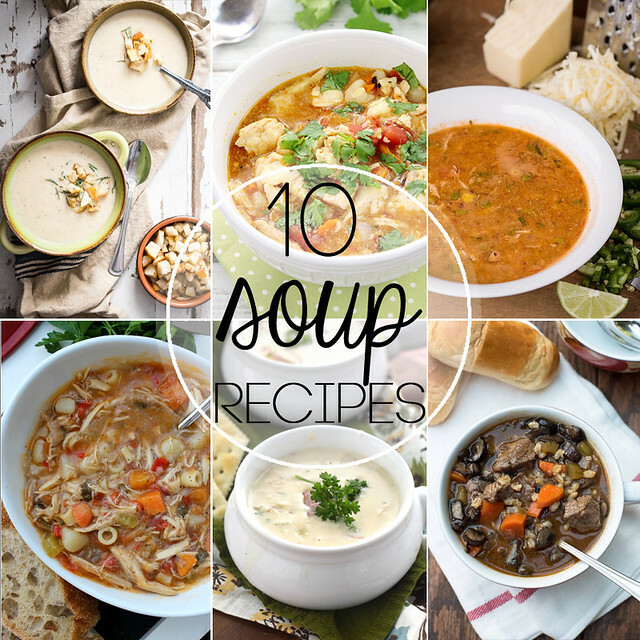 I have a whole bunch of soups I want to try and this would help! We are not eating potatoes any more (though, I still love them) due to my husband being diagnosed with diabetes. I would love to try this with Cauliflower. I wonder how long you would cook it? I am going to try CLAm Chowder with cauliflower as well this winter season. This is so good! I pre boiled the potatoes in water, strained them and then added chicken stock (about 1.5 cups) and this soup is amazing. Burnt my tongue trying it because I couldn’t wait. It’s the perfect thickness, the cream really gives it that warm comfort feeling in fall!